The Gambia is a small country with a large range of attractions and highlights to visit. Apart from six national parks and reserves there are several forest parks and protected areas with different habitats in the country. 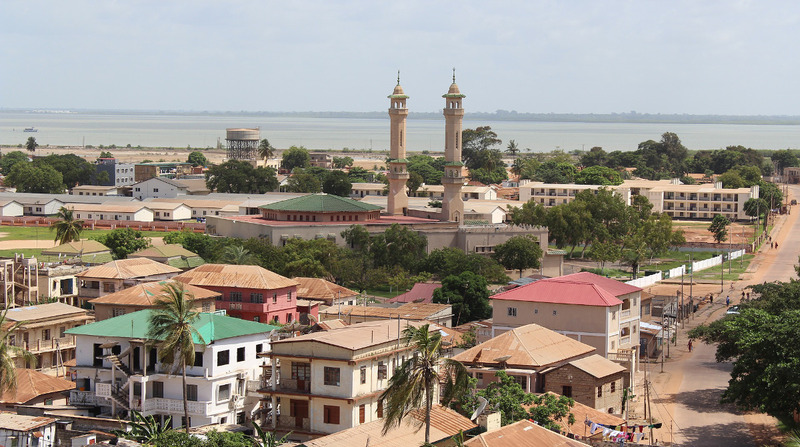 Banjul, the capitol of The Gambia, is located on a half island connected to the southern bank through the Denton Bridge. It was founded 1816 and has about 50,000 inhabitants today. The Highlights: Arch 22, National Museum of The Gambia and Albert Market. Serekunda is the largest city, with officially 160,000 inhabitants - but the estimated population is about 400,000. Impressive is the huge market in the center where you will get a real impression of everyday life. Worth seeing is also the Batik factory nearby where colorful fabrics can be bought. Near the village Lamin is a unique location called Lamin Lodge, built on stilts overlooking the mangrove creek. You get to know everything about collecting oysters as well as the use of their shells. 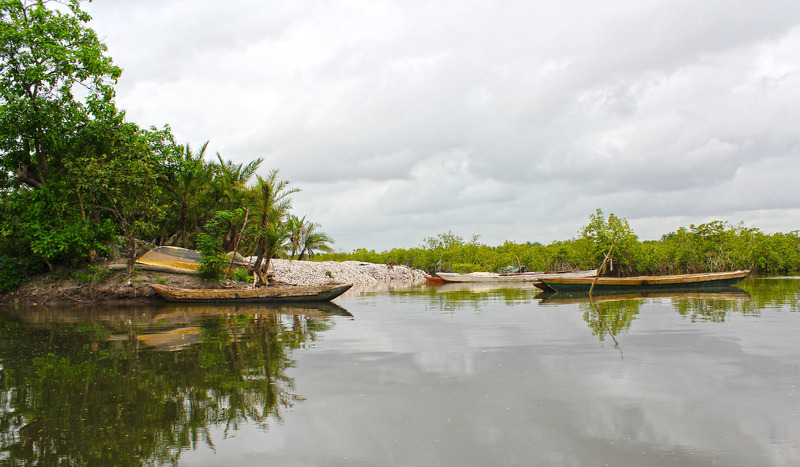 Take a relaxed piroge tours through the mangrove creek and enjoy the birdwatching highlights. On an early morning trips you may observe the black crowed night heron, kingfishers, darters, ibis and pelicans. Only 5 km from Brikama, Makasuto, which means "sacred forest" in Mandinka, is located. It´s one of the most popular ecotourism sites and it has about 1,000 ha of land along the Mandina Bolong. Tanji is a small village on the road via the south of The Gambia. It is the largest fishery port in the country with pitoresques fishing piroges. Worth seeing are the fish smokehouses and places for salt-drying as well as the Tanje Village Museum with round huts, a forge and a botanical trail. Only a couple of minutes on the south road is the crossroad to Sanyang and the Sanyang Point - also called Paradise Beach. Jufureh is a small village on the nothern bank 25 km upstream from Barra. The nearby village Albreda in walking-distance is a peaceful place with huts and houses between baobabs, palms and silk-cotton trees. James Island in the middle of the river Gambia is known because of the remains of Fort James, built in the 1650s. It was used as slave collection point by British traders and is well-known from Kunta Kintes´ story by Alex Haley. Boat trips to Jufureh and James Island can be arranged starting from Banjul. Alternatively piroges tours are offered from Albreda. 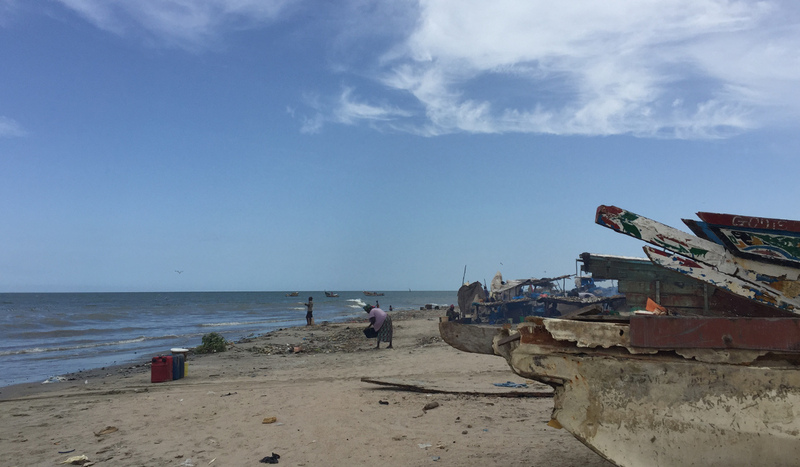 Janjanbureh - formerly known as Georgetown - is located on the McCarthy Island 280 km upstream from Banjul. It´s a perfect place to relax and enjoy the peaceful environment. The island covered with fields of rice and groundnuts has ferry links to both river banks. 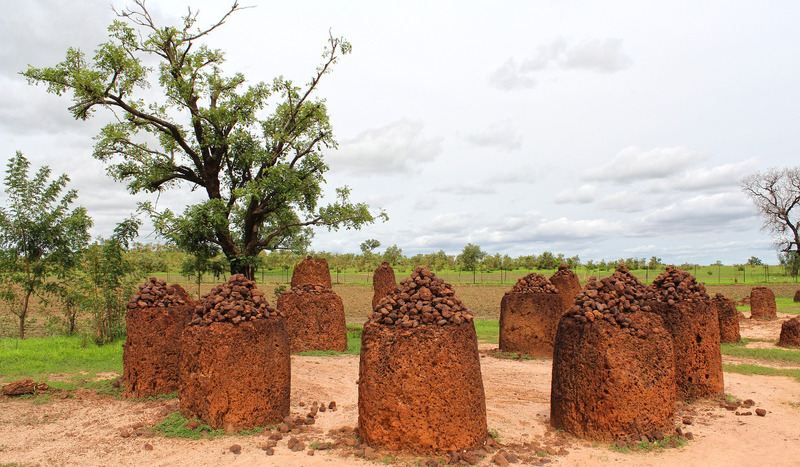 The Wassu stone circles, dated from AD 500 to AD 1,000 are situated 20 km via northwest of Janjanbureh. For this tour we recommend at least one overnight stay which can be prearranged easily on demand. The Independence Stadium in Bacau is the main stadium for football and other sport events. Local football matches take place regularly in two smaller locations in Serekunda and are worth seeing. Traditional wrestling is the Gambian national sport. Matches usually are conducted on Sunday late afternoons. If interested just send us an e-mail or give us a call and we can take you to next sporting event. Pick-up at your hotel at the time agreed - choosing of sites to visit, planning and scheduling of the day. Convenient and save travel to the selected spots. Guided walks and prearranged boat trips. Breaks for lunch or spontaneous stops on demand. For some destinations overnight arrangements for multi-day tours are needed. Get in contact with us to discuss your personal itinerary.  Enjoy your impressions of genuine Gambian life. Just send an e-mail or give me call to arrange your personal tour. 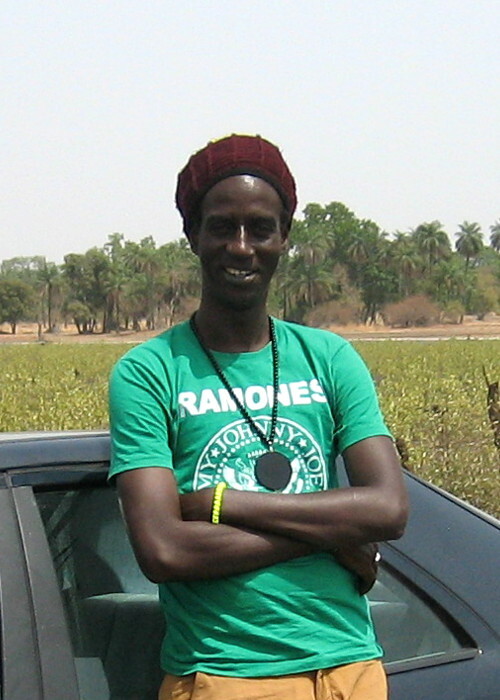 As a native Gambian I offer a deep knowledge for exploring The Gambia. Take advantage of my profond expertise and background of my home country. Having more than eight years experience as professional tourist guide in The Gambia I know every little corner and tradition like the back of my hand. I wish that you enjoy your time and return happy with many unforgettable impressions. For further information, questions and bookings please just contact me. I´ m looking forward to your request!